Book Bloggers are an integral part of the reading community. They are passionate folks who invest their time in reading and spreading the word about the books they love. They write book reviews and host all sorts of bookish events like giveaways, cover reveals, author spotlights, and blog tours. Getting to know some bloggers and understanding the reading world from their perspective can be helpful for any indie author. 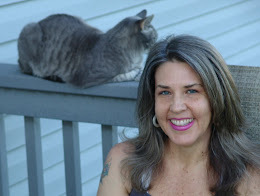 Today my indie life post introduces book blogger Cloey K of Cloey's Book Reviews And Other Stuff. One of the first things that intrigued me about Cloey was her passion for ebooks, tea, chocolate and Nascar. What an eclectic combination. Hi, my name is Cloey and I blog at Cloey's Book Reviews and Other Stuff at cloeyk.blogspot.com you are welcome to come by when you get a chance and say hello. I have many ideas for my blog and cannot wait to make them happen in 2013 so come be a part of something awesome. I love tea and can drink a cup all hours of the day or night. I use prepackaged tea bags and looseleaf with bottled or filtered water, with or without milk/creamer. The flavors vary from black, peppermint, floral and many others. I used to buy bagged herbs to mix for the perfect brew and devoted a cabinet in my kitchen just for my teas. While packing to move into my new home I found cotton tea bags, three tea balls, and three tea pots so look out! I may be blogging about my perfect brews at Cloey's soon, hehehe. I was looking for a hobby with a zero dollar budget so I picked something that I liked to do which is reading and talk about books. When I originally started my blog I thought that it would be a win/win for me and authors, I get a free book to read and they get an honest review and I was right. Since starting my blog Feb 2012, I discovered that I really love showcasing authors, reading their work, and sharing my reviews with readers. 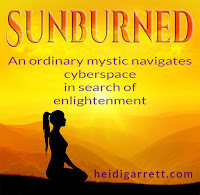 I really hope that my blog will help readers to find their next hot read. I was looking for something funky and dark to fit in with the genres that I like to read and found an awesome design by @Parajunkee. My blog has an urban fantasy, paranormal, or dark fantasy feel but horror and science fiction fits well too. I also wanted a place where people would feel comfortable hanging out and browsing the pages without having ads popping up everywhere. My favorite thing about book blogging is meeting like minded people. I am bringing readers and authors together in a comfortable place where everyone can express themselves - what's not to like about that? I get to read fabulous books and help to introduce them to readers. I feel like I am helping authors to get the word out about their work and saving readers the hassle of reading through the many books out there when searching for a good read. I also share my favorite TV shows and occasionally anything else that comes to mind. If the book is a request for my review, and I do get many review requests, I take a look at the cover art, description, and if it was edited by someone other then the author and a family member then I may consider it for reading. After that I go with my mood. No matter how much I try, if I want to read something Scifi an Urban Fantasy will not be interesting to me no matter how good the book is. If I am picking out the book for my pleasure then I look at what other people are reading. I checkout other book blogs, read reviews by my friends on goodreads, and always read the reviews on book selling sites. I have also found books through Twitter which were very good reads. About 10 - 15 hours a week. Most of my spare time is spent reading and you will always see me reading at lunch time and when alone waiting in lines. I agree with Alice Hoffman because where else can you live a thousand lives and walk side by side with heroes without leaving the safety of your home? While a movie gives us a flat view of the story world based upon someone else's imagination a book gives us a description and our imagination brings that description to life... that's part of the magic. A story in a book can invoke a memory of a scent, or a feeling and also make us feel like we are right there in the story on the sidelines watching the scene as it happens. We can be in the present moment reading a story taking place in the past or future and get so caught up that we lose all concept of everything going on around us... now that's the magic. Haha! I'll say a 3. I am eclectic and open minded. I never picture myself living with 10 cats but I can picture myself living in an eco friendly house mixing transitional designs with a touch of modern. 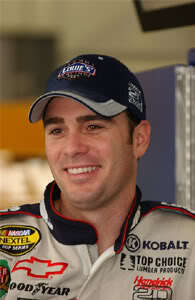 I love NASCAR - my driver is Jimmie Johnson. I began watching NASCAR in 1990 while taking naps because the races where just too long. Then in 2004 I paid attention and in 2006 I became a fan of Jimmie Johnson and have been going to races twice a year since 2008. Other drivers that I quietly cheer for are Tony Stewart (I love his attitude), Martin Truex Jr (go Jersey! ), and Danika Patrick (who said girls can't drive?). I have been described as Bohemian and opinionated (well, in my defense, I am child 5 of 6). I am a meditator and live as holistically as possible with my old school minded fiancé who often shakes his head and laughs at my quirks and affectionately calls me crazy while my 2 kids call me mom. Thanks for stopping by the Indie Life blog hop! Nice to meet you, Cloey. I'm a tea drinker too! 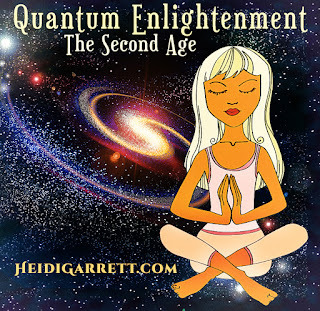 Heidi, love the cover for the next book! Looking forward to reading it, especially since it'll be a fresh read for me. This is a neat idea for an Indie Life post. I love it! Wow Heidi - I really enjoyed the interview and love the pic of Jimmy Johnson too. Thank you for having me on your blog and introducing me to your readers and writers - your the best!